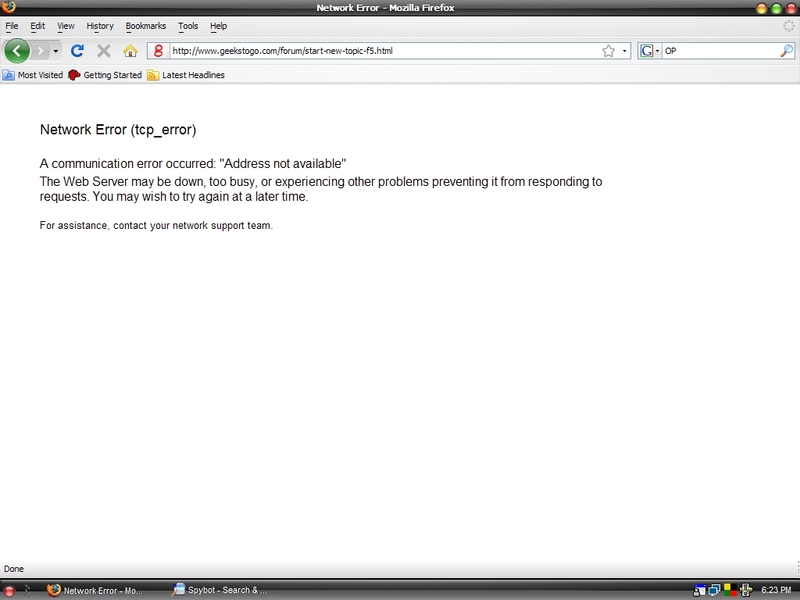 I got this network error (tcp_error) again and again when I surfed the web sites ,even in Geeks to Go. I saw that my brother used Open VPN .After he used,I have that network error . In C:\Documents and Settings\khinelay\ , I found "client.ovpn" . but i didn't find this in Program Files. I want to know my problem is because of that ovpn ? or because of virus /malware???? A communication error occured: "Address not available"
You may wish to try again at a later time. 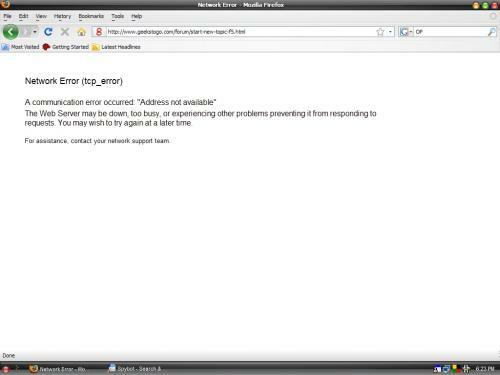 Moreover, "Internet Explorer cannot display the web page "
A communication error occured: "No route to host"
PS. I don't know what my problem is so, i'm sorry if i post my problem in wrong topic. It is under malware ? P.S. this is the second time i posted it .When i clicked "Post New Topic" , this tcp_error appeared .So, I reposted again. ....... Thanks God, I copy it.